Praying for a Great Day! We are on the way back! We left camp around 6:30am and stopped to eat breakfast at the bottom of the mountain. We are near Macon, Ga. The last day of camp is always bittersweet. We’ve had so much fun playing games, fellowshipping with other Christians, and, most importantly, spending an extensive amount of time in the Word of God and hearing powerful Bible preaching. We hate to see the week come to an end. On the other hand, we certainly miss being home with our family and amongst our own church folks. Although it is a long drive, we look forward to tomorrow. The week did not end without a last challenge and encouragement from Bro. Farrell’s powerful and doctrinally sound preaching. Each message has been spot on and hundreds of teenagers have responded. Tonight was no different. The message was taken out of the text from Romans 12:1-2 and the title was “The Dedication Decision.” There are two decisions that we must make. First, the decision for salvation. We have heard preaching and teaching directly targeted at the matter of salvation, but many teens had still been battling and wrestling God. Praise the Lord that several made the decision tonight to finally get that right with God! Secondly, the decision must be to surrender your will to God. We must willfully make the decision to “present your bodies a living sacrifice, holy, acceptable unto God, which is your reasonable service.” We were challenged by the words of C.T. Studd, who once wrote, “Only one life, twill soon be past, Only what’s done for Christ will last.” I praise the Lord for a place that still encourages to live for God and seek to be used to reach this generation. Tonight’s invitation was specifically geared to those who wanted to make the decision to “be not conformed to this world, but be ye transformed”, and for those feeling the call to full-time Christian ministry. What a wonderful sight to see as teenagers responded and got up from their seats to answer that call! God is still in the business of calling young people to be preachers, teachers, missionaries, and full-time Christian workers. All hope is not lost in this generation as we have hundreds of teenagers who have surrendered to God’s call. The evening and week concluded with a “Fireside Testimony” Service. Because it would take hours for the teens to verbally, one by one, give a testimony of their decisions, they give a visible testimony by placing a stick into a fireplace. The stick represents us – dirty, rough, useless by itself. The fire represents God. By placing the stick into the fire, we are testifying that we are giving our all over to God to use. 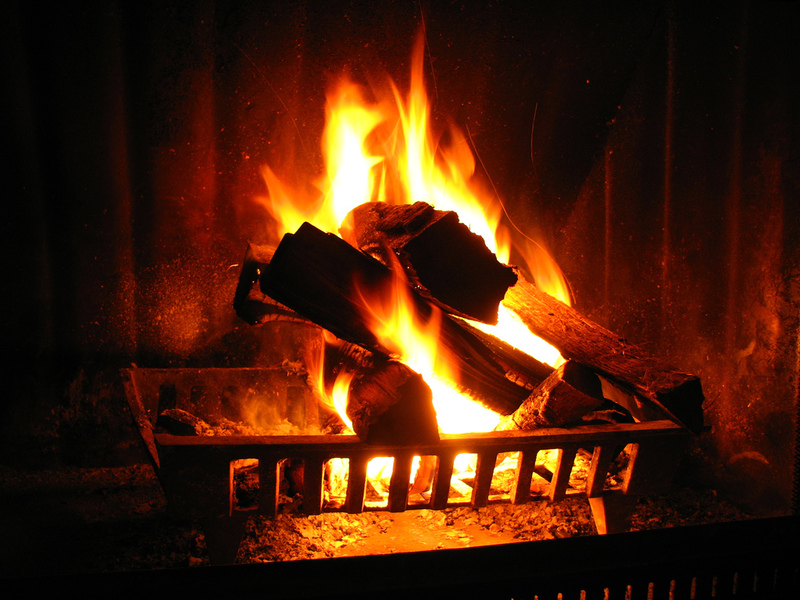 As each stick was placed into the fireplace, the fire grew brighter and hotter. We pray that would also be the result in the lives of our teenagers – that they would grow brighter and hotter in their life for Jesus Christ. I would like to personally thank our Pastor for allowing us the opportunity to take our youth department to the Wilds each year. Thank you North Gainesville Baptist Church for your love for our teenagers and your support in prayer and by pocketbook to impact lives for eternity. We thank Bro. Konrad and Mrs. Jo for being our partners in crime this week. They are such a blessing to us and our church for taking of their time to be a help and encouragement. Also, a huge ‘thank you’ to all of our teens’ parents for allowing us to be a part of their children’s lives and to be able to minister to them. We are simply an extension of what you do at home, and simply a vessel for however the Lord chooses to use us in our teens’ lives. Please pray for us as we set off for home at 6:00AM tomorrow morning…er, later today. 🙂 We will update parents of our ETA and make sure to make calls and send texts when to meet us at the church. Tonight’s message really cut to the heart of all who were in attendance as Bro. Farrell preached on the subject of “The Blight of Bitterness.” He reviewed the Scope of Bitterness, the Sin of Bitterness, the Source of Bitterness, the Scourge of Bitterness, and the Solution of Bitterness. He shared with us real life testimonies and anecdotes of those who allowed bitterness to eat up and tear apart their lives. He gave strict warnings to the teenagers of the root causes of how bitterness can enter their hearts and the consequences that can result from harboring bitterness towards God. Bitterness is certainly a sin that plagues many of us as we carry resentment and anger because of our position in life, the possessions we don’t have, or people in our lives. Bro. Farrell gave a great analogy of how we can overcome it and give it over to God. When we have money or receive a paycheck, we deposit that money into a savings or checking account and rely on the bank to take care of it for us. Christians must do the same with God – we need to take our anger, bitterness, worries, cares, and weights and give it over to God to take care of it for us. We can trust in an Almighty God who forgives us of our sins and seeks to take our burdens for us. One more full day of camp tomorrow with a schedule consisting of a last morning chapel service finishing up a study on the life of Joseph, one more Christian Life Seminar, and final team games. Then, the evening will conclude with a last message from Bro. Farrell followed by a fireside testimony service. Please pray that those teenagers who have been fighting God will take these last opportunities to surrender their will to Him and for God to work in their life. After hitting the halfway point of the week, all of the teens are excited, exhausted, encouraged, and anticipating the packed schedule that is still ahead. Activities today included “Cat In The Hat”, a Christian Life Seminar on the topic of “Quitting Church”, a series of hilarious skits called “Funtime”, and a camp pizza party. The evening message tonight was much-anticipated by the pastors, youth directors, and sponsors in attendance because we were well-aware that the subject of tonight’s message was one directly aimed at salvation. Bro. Farrell took the text from Luke 16 and brought a message called “What Kind of Place is Hell?” 53 times in the Word of God is the word “hell” mentioned. Another 129 times does the Bible speak of Hell as a literal place. From story in Luke 16, Bro. Farrell highlighted that Hell is a place of misery, a place of memory, and a place without mercy. It was very sobering and convicting. During the invitation, he walked the campers through a Sinner’s Prayer and allowed them the opportunity to respond. Of course with all eyes closed and heads bowed – it was an amazing blessing to hear the sound of hundreds of metal chairs move because teens sought to solidify their decision in accepting Christ. Praise the Lord! Please continue to pray. For those who failed to respond to tonight message – that they will not leave this week without settling the matter of salvation. For those who responded tonight – that they would delight in their newfound Christian life. For those who have gotten away from God – that they would revive and refresh their relationship with God and yield their lives to Him. For the sponsor, youth directors, and pastors – that we would be given wisdom when working with our young people on a weekly basis and carry on the fire that was created here this week. For the counselors and staff – that God would use them this week and the rest of this summer to impact the lives of thousands of teenagers that come to the Wilds this summer. Thank you all again for your encouragement, prayers, and support. We are looking forward to a great remainder of the week! What an eventful day! Each day begins with Rise & Shine at 7:00AM and a cleansweep of the cabin, then it is nonstop until 11:00PM. Today, the campers took pictures with their cabins and the whole camp, played Big Ball Volleyball, the guys had time at the lake, and the girls went on the 3rd Falls Zipline. They also had free time to play putt-putt golf, play basketball, rock climb, and go tubing down the lazy river. But more importantly, they spent time with God. Everyday, the campers have a morning chapel meeting, followed by “God & I” time, a moment of personal devotion and aloneness with God. They then will later follow up on “God & I” time as a whole cabin with their counselor. The teens also attended a Christian Life Seminar in the afternoon, which is a practical lesson on specific topics given by one of the staff directors. Today’s CLS was about “Idols of the Heart.” Amidst all of the fun, campers meet over 25 times during the week to specifically focus on God and engage in spiritual conversation. The highlight of the day was the evening message – “When God Crashes Your Party.” Bro. Farrell took Daniel 5 – Belzshazzar’s refusal to remember God, have reverence for God, and repent before God – and applied it to the lives and hearts of the young people. The question was often raised, “Do you have a Belshazzar spirit?” Belshazzar disrespected and blasphemed the things of God, and sought to please himself and his own fleshly lusts. We often find teens – and frankly, many adults – having the same spirit and attitude as Belshazzar. Worldliness and selfishness are some of the premier battles that youth directors and pastors fight when dealing with young people. It is our prayer that our teens would develop a Christian walk and testimony that would be in alignment with the Word of God and be pleasing to our Lord Jesus Christ. trust that He will forgive them. Scores of teenagers flocked at the invitation to speak to counselors and sponsors in order to repent of their ways and make the decision to live for Christ. What a sight to see as all around the grounds were young people allowing the Lord to work in their hearts! We are excited about what else the Lord has in store for us this week. Please continue to pray for decisions to be made and lives to be changed for eternity. We finally made it! After 11 grueling hours, we finally made it to the Wilds Christian camp in Brevard, NC. The teens have been bouncing off of the walls in the van because of anticipation and excitement (and endless supply of Coke – Thanks Bro. Konrad). We arrived at camp around 4PM and the kids all got their cabin assignments, met their counselor and cabinmates, ate supper, played a game of big ball, and got a chance to acclimate themselves to their new surroundings. After settling in and getting freshened up, we closed the evening with our first preaching service of the week. Our speaker this week is Bro. Tom Farrell, who is known to go 70 mph with gusts up to 90. And this evening he certainly did not disappoint. His message came from Proverbs 29:25 – “The fear of man bringeth a snare: but whoso putteth his trust in the LORD shall be safe.” Bro. Farrell’s message was entitled, “Trapped or Triumphant? It’s Your Choice.” He detailed for the young people the types of fear that we do/can experience. A good fear – the fear of the Lord; or a bad fear – the fear of man. Bro. Farrell drove home the point that we trap and ensnare ourselves worrying about what other people think or what others are going to do. That isn’t an earmark of just the teenage years, but also for adults as well. We can worry about how other church members will react, what our pastor thinks of our service, or whether or not our contributions and work are “good enough.” We live in a constant state of fear of what man thinks. But the Bible states that, “whoso putteth his trust in the LORD shall be safe.” We can trust in God’s past performance, His perpetual presence, and His past promises to focus our motivation to please God and not others. It is our prayer that our young people choose to serve God not because that’s what Mom and Dad tell them to do, or because pastor says so, but rather out of a love and healthy fear of God Almighty. May they put their faith and trust in Jesus Christ, and not their friends or worldly influences. Please continue to pray this week that the Lord does something great in the hearts of our teenagers and all those in attendance here at camp. We apologize for the late response, but we are here safe and sound. All of the campers have been designated to their cabins and are getting settled, going to supper, camper orientation, big ball, and then evening youth rally! Busy bees!!! We will post each night after evening services. We have entered South Carolina and are headed to Pickens County for lunch.